Cruz Ramirez is a sunny-but-fierce unconventional trainer at the Rust-eze Racing Center. 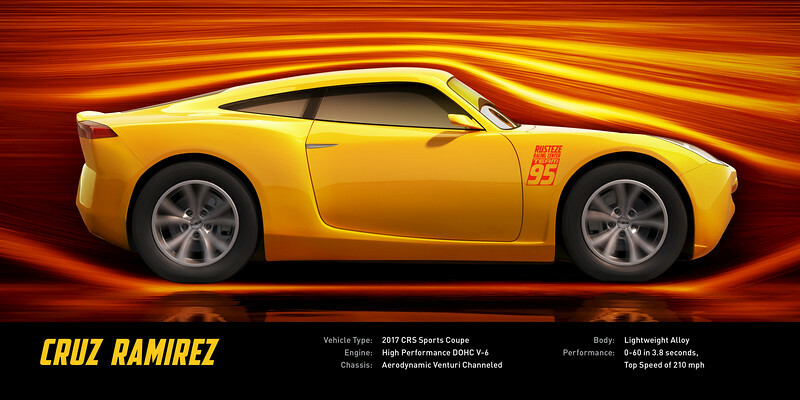 She expertly arms the team's talented rookies with cutting-edge tools to tear up the track—but she nearly stalls when her longtime idol Lightning McQueen shows up. While she’d love to help him find his way back to the top, she knows the competition is faster than ever, and victory is all about speed—or is it? ©2016 Disney•Pixar. All Rights Reserved.